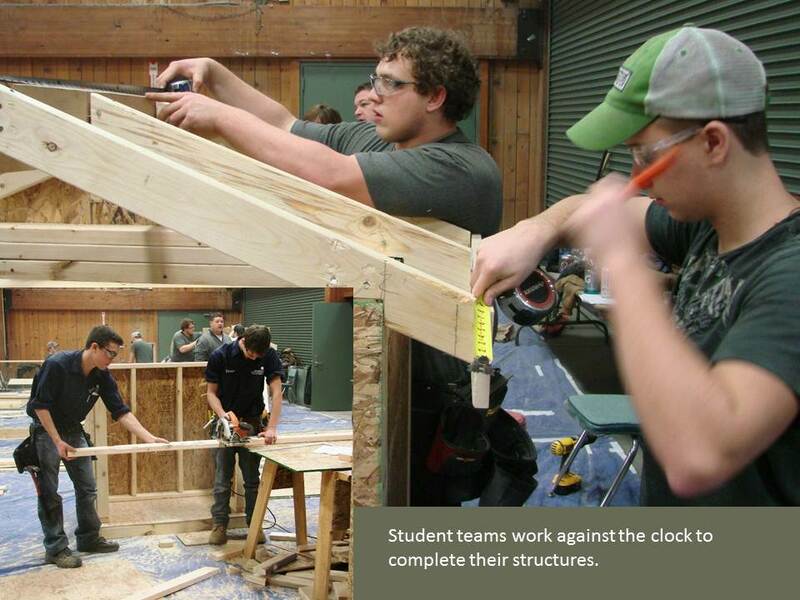 The 7th Annual Holiday Invitational Carpentry and Masonry Competition on December 12 gave tri-county high school teams the opportunity to show off their construction and masonry skills to each other and to a panel of construction professionals. Hosted by Oakland Schools Technical Campus-Northwest, the event was held inside the cavernous activity center at Springfield Oaks County Park. 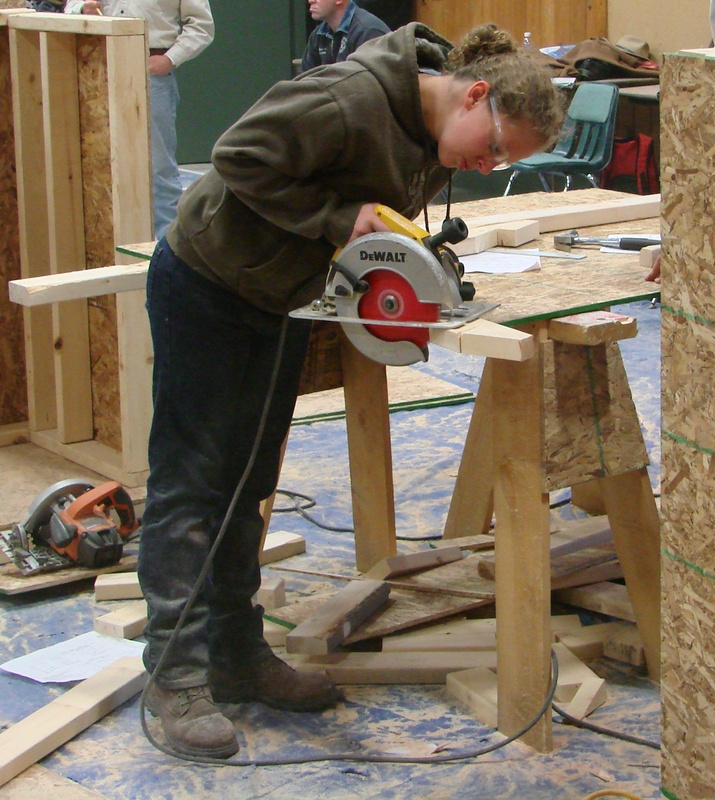 The air in the center was thick with sawdust; students handled 2x4s and sheets of plywood while wielding buzz saws and hammers. 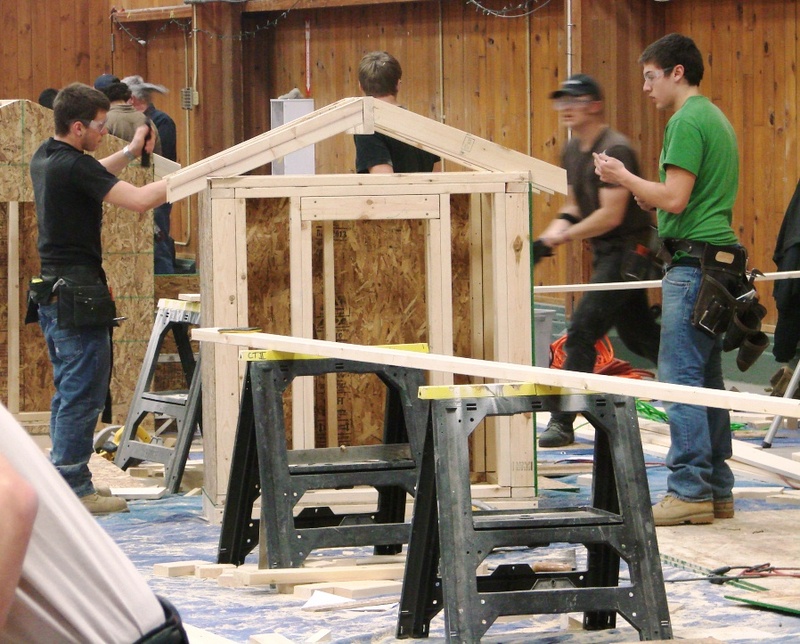 Carpentry students were given a new blueprint, and each team had to build a small house within a few hours. 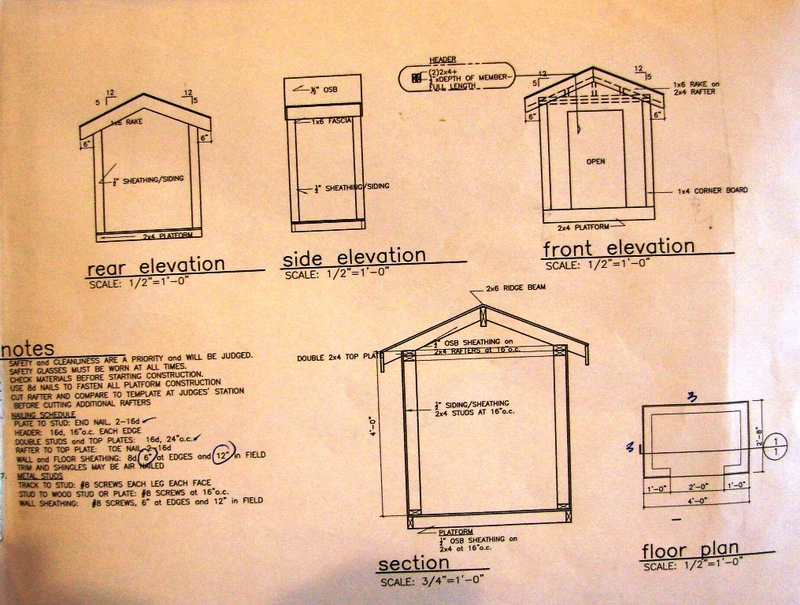 Structural Engineer Robin Johnston and his architect wife, Cory, from Johnston Design, have drawn up and donated the blueprints for the competition for the last 6 years. 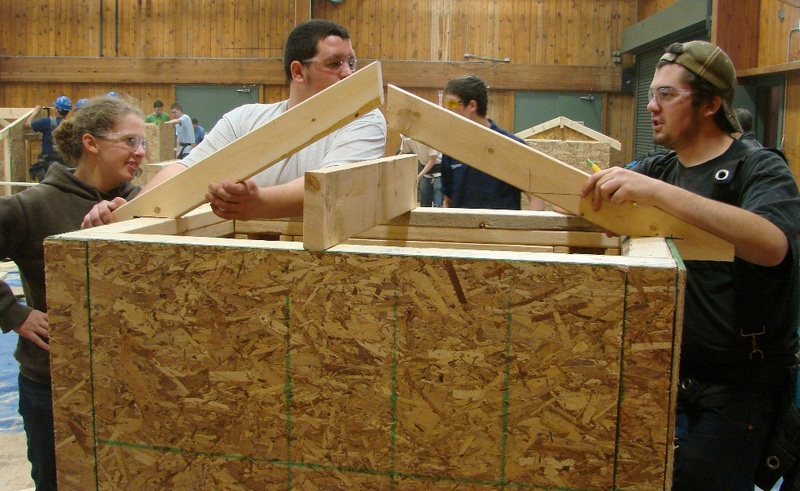 Five judges decided how well the teams incorporated required elements into their framed structures. Oakland Schools Technical Campuses are working to fill the skilled-trades gap. 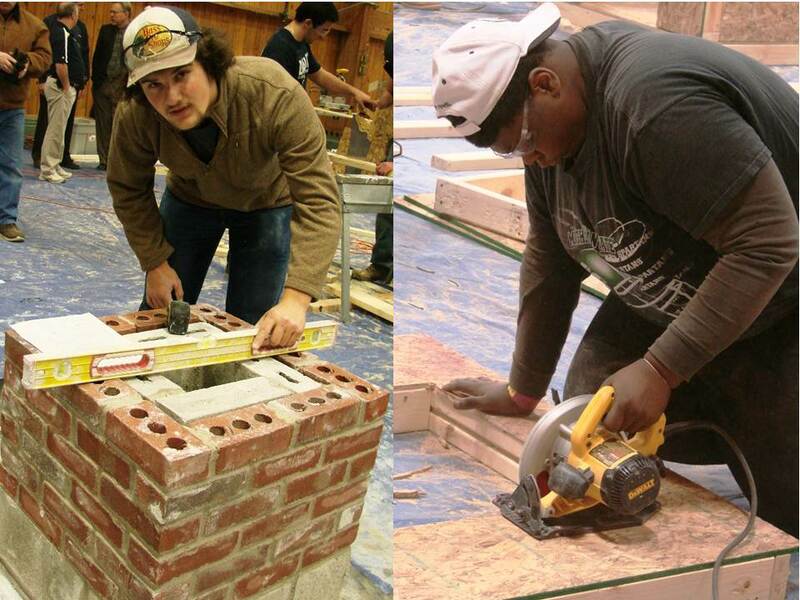 In addition to Carpentry and Masonry, OSTC’s Construction Technology cluster (available at the Southeast, Northeast and Northwest campuses) offers career development in Heating & Air Conditioning, Concrete, Plumbing, Electrical and Refrigeration – along with high school academics and free college credit! “Competitions give students the chance to work collaboratively, and the opportunity to practice skills. Seeing the work of other students is also extremely motivational!” said OSTC-NW Instructor Duane Olds. THIS OLD HOUSE & OSTC CONSTRUCTION TECH! For more information about this event please contact Mary Beth VanBuskirk, OSTC-NW, at 248-922-5813.